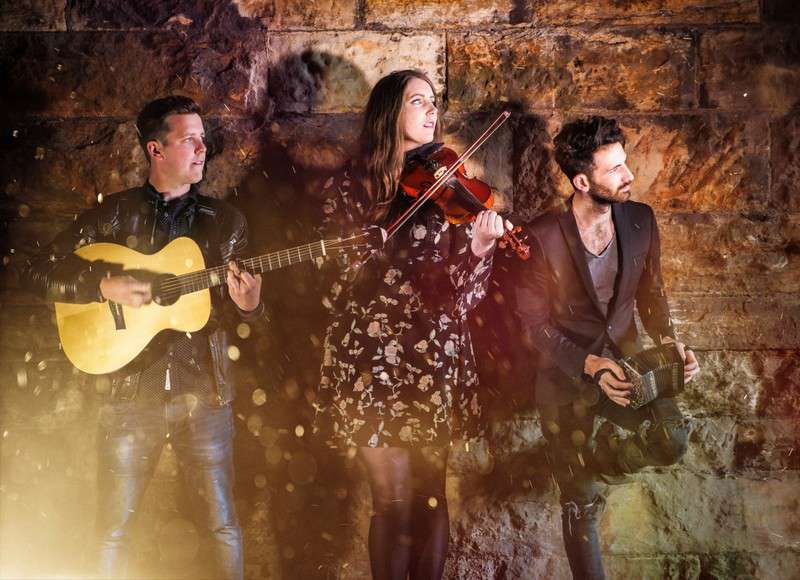 Mohsen Amini’s concertina, Hayley Keenan’s fiddle, and Graeme Armstrong’s guitar meld seamlessly together to produce a unique force that has taken them to many corners of Europe, throughout the UK on their own headline tours, to Canada, Australia and – from 2018 – the United States. World-leading festival appearances include the Cambridge Folk Festival, Denmark’s Tønder, Celtic Colours in Cape Breton, Fairport’s Cropredy Convention, Celtic Connections and Brittany’s Festival Interceltique de Lorient – whilst the trio’s captivating signature has also been recognised by the wider industry, through official showcase selections at both WOMEX 17 and Folk Alliance International 2018. Whilst their touring history may far belie their years, so too does their unfailing energy and stage presence. With a second album in the pipeline, alongside heavy touring throughout 2018 and beyond, theirs remains a star firmly on the ascent. Click the Add To Cart button – this takes you to Paypal.